A little less than two years ago, when I was in the hospital with Brynn, a friend from Rotary sent this flower to me. I wrote about it in this post a year ago. Anyway, since it had bloomed in October both years, I wasn't expecting an August bloom this year. 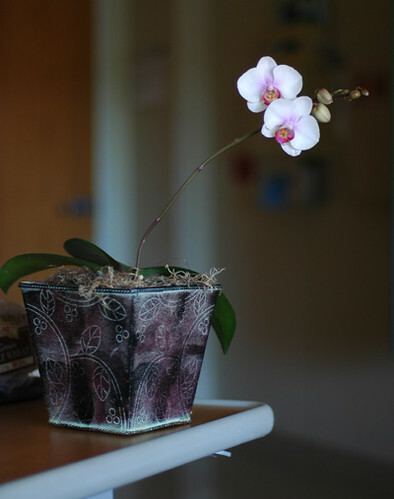 But here I am, in the hospital again, with this same delightful flower blooming in my room. I love this flower. It really is the gift that keeps on giving!